The Weekly Pulse for Sunday, February 3, 2019 In this episode: (1) Retirement Income and Retirement Innovations like Artificial Intelligence, (2) Are soft skills in demand?, (3) Financial Freedom: A Proven Path to All the Money You Will Ever Need, (4) A Primer on The Fiduciary Standard, (5) Revolution: Venezuela and the shift from the Bolivar to Crypto Currency? and (6) 3 hour delays on the IRS hotline. This week's special guest is Anne Ackerley, Head of Defined Contribution at BlackRock. How Many Millionaires Are in the Thrift Savings Plan? Can the Government Help You Save for Retirement? Jeffrey H. Snyder currently serves as Founder, CEO for The Morning Pulse, Inc. 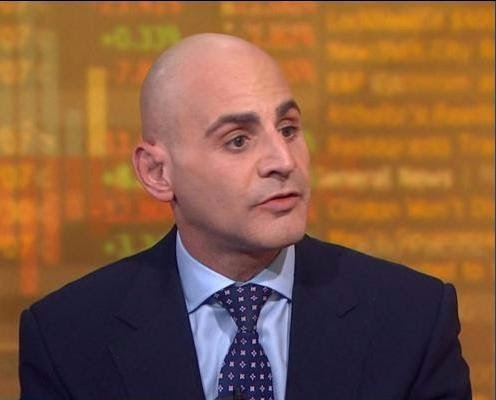 Considered an "industry insider", thought-leader and an independent voice, he has appeared in both television and print discussing the issues related to retirement and the capital markets. He also is the creator, producer and host of the The Weekly Pulse podcast and TV show, as well as the original series Roads2Retirement.